Your smile is important to you. It’s important to others, too! How important? According to a study performed by the American Academy of Cosmetic Dentistry, 99.7% of Americans believe a smile is an important social asset. 74% also believe an unattractive smile can hurt your chances for a successful career. 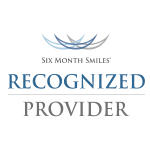 If you’re not fully satisfied with the appearance of your smile, please give us a call. We’re here to help! Dr. Hoang and Dr. Vo are Pasadena, TX dentists who will work with you to customize a safe and effective cosmetic treatment plan that addresses your desires and fits your budget. With our flexible financing, a beautiful smile is more affordable than you might think. Braces are great for straightening teeth, but wouldn’t it be fantastic if there was a way to have beautifully straight teeth in less time, and without a mouth full of metal? There is a way! 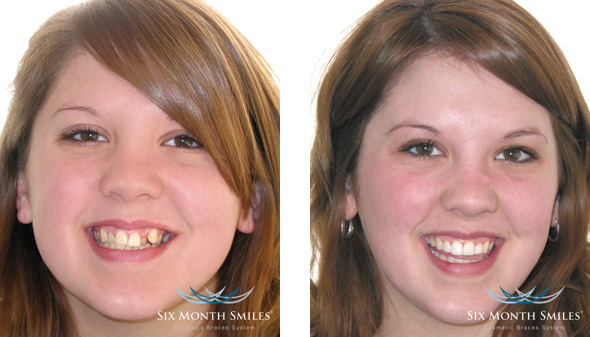 Find out if Six Month Smiles braces are right for you. Do you ever hide your smile because of gaps or chipped teeth? Modern dental veneers can quickly and dramatically improve the appearance of your smile. Veneers are thin, custom-made shells that cover the front side of teeth. Dr. Hoang and Dr. Vo can create custom, long-lasting veneers that are tailored specifically to your teeth. Veneers from Advanced Care Dentistry & Dentures will instantly take years off your smile. So stop imagining the smile of your dreams, and call us today. Let’s make your new smile a reality! When patients at Advanced Care Dentistry & Dentures need fillings, we go out of our way to make sure their fillings look natural. Whenever possible, we use “composite” fillings, which are a mixture of quartz or glass filler in a resin which results in a tooth-colored filling. These fillings are practically invisible, and they feel just like your other teeth. They’re strong and durable too, and will last many years with proper care. Whitening your teeth is one of the simplest and safest ways to quickly enhance your smile. At Advanced Care Dentistry & Dentures, we’re proud to offer Opalescence® take-home whitening kits. Opalescence uses a proven bleaching formula to effectively whiten teeth. The formula also contains fluoride and potassium nitrate which strengthen enamel, increase your teeth’s resistance to cavities, and minimize tooth sensitivity. This system is so powerful and effective that it can only be dispensed by dental professionals like Dr. Hoang and Dr. Vo. During your visit, we’ll show you how the whitening trays work, and we’ll work with you to determine a gel concentration and a frequency plan that’s optimal for you. We’ll show you how to fill the trays, wear them, and care for your brighter, whiter smile! We think you will be impressed by the excellent results that can be achieved from the comfort of your own home with these professional-grade whitening trays.